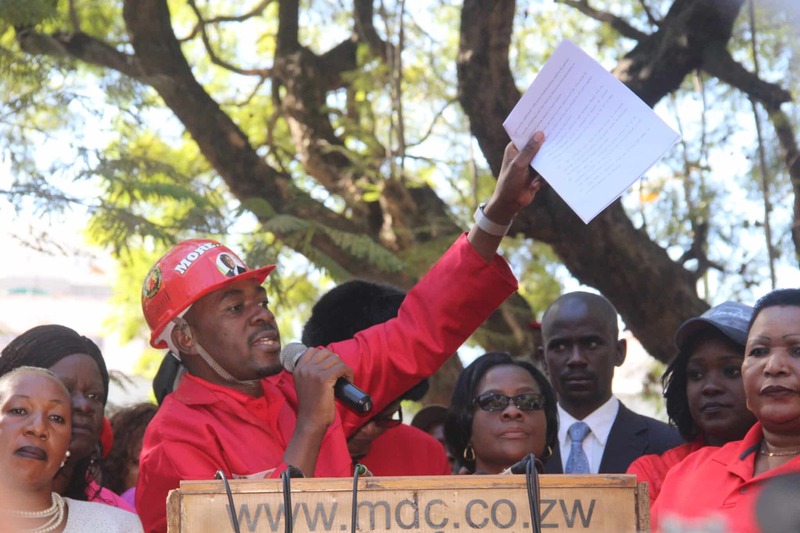 A group of workers under the name Zimbabwe Workers for Justice have urged Zimbabweans not to vote for the MDC Alliance Presidential candidate, Nelson Chamisa over his role in the July 2015 Supreme Court ruling which resulted in the dismissal of thousands of workers on three months notice. Speaking at a news briefing ahead of 30 July scheduled election, leader of the group, Trust Gakanje said that since the 2015 Zuva judgement that sent thousands of workers into the streets, unemployment has gone high and for that reason they are calling for Justice. “There was a young advocate who represented the big bosses against the majority poor workers, that man is Nelson Chamisa, this is the same man who is now the leader of the MDC Alliance, a party that emerged from a workers trade union, a pro-worker party,” he said. “The same Nelson Chamisa who claims to represent the workers, poor and the down trodden, wants us to vote for him,” he added. Gakanje urged voters to understand the background of the candidates they vote during elections, in reference to Chamisa’s role in the Zuva judgement. Since the Zuva ruling, Trade Unions estimate that 30 000 workers lost jobs with companies taking advantage of the legal loophole provided by the Supreme Court. Speaking on the same occasion, Zimbabwe Workers for Justice President, Biggie Mutambara said they will seek justice against Chamisa by not voting for him in the impending elections. On the 17th of July 2015, the Supreme Court ruled against Don Nyamande and Kingstone Donga, both former BP Shell employees, who had taken Zuva Petroleum who took over BP Shell to the Supreme Court challenging their expulsion.